Joanne will perform songs from her recently critically acclaimed album The Dirty Truth, as well as songs from her previous three albums White Sugar, Diamonds in the Dirt and Almost Always Never. 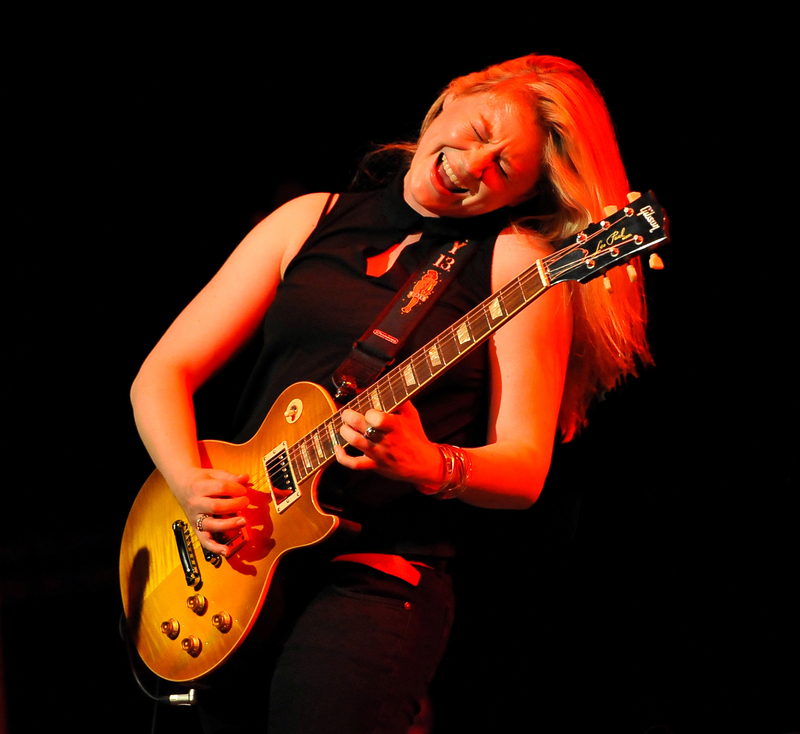 Joanne Shaw Taylor: Will always thrill her fans and make new ones wherever she plays her guitar with energy, style and classy interpretation of classics in addition to her self-penned numbers. Her concerts are Sold out, her fans scream and her names are in lights, something she never anticipated any of that at the start. Back then, she was just an ordinary Black Country schoolgirl, bored with the disposable pop she heard on late 90s radio, rifling her father’s record collection for sunken treasure, and falling for albums by Stevie Ray Vaughan, Albert Collins and Jimi Hendrix. At 13 she played her first electric guitar. “Guitars were always lying around the house,” says Joanne. At 14, she defied her teachers to play The Marquee and Ronnie Scott’s, and began to overcome insecurity about her voice. “I never set out to be a singer,” she modestly told Classic Rock. “I’ve always had a deep voice. I think it came from my influences as a kid. Joanne left school at 16 and ran straight into her big break, as a twist of fate directed her demo into the hands of Eurythmics icon Dave Stewart after a charity gig. Reflecting on his first impressions, Stewart recalls that “she made the hairs on the back of my neck stand on end.” His call the following day proved the start of a lasting friendship, with Joanne seeking his advice on the industry and accompanying his DUP supergroup across Europe in 2002. Stewart gave Joanne her first deal, but when the label ran into financial trouble, it gave her a chance to regroup and work on her songwriting. Until then, original material had perhaps been a neglected side of her talent. 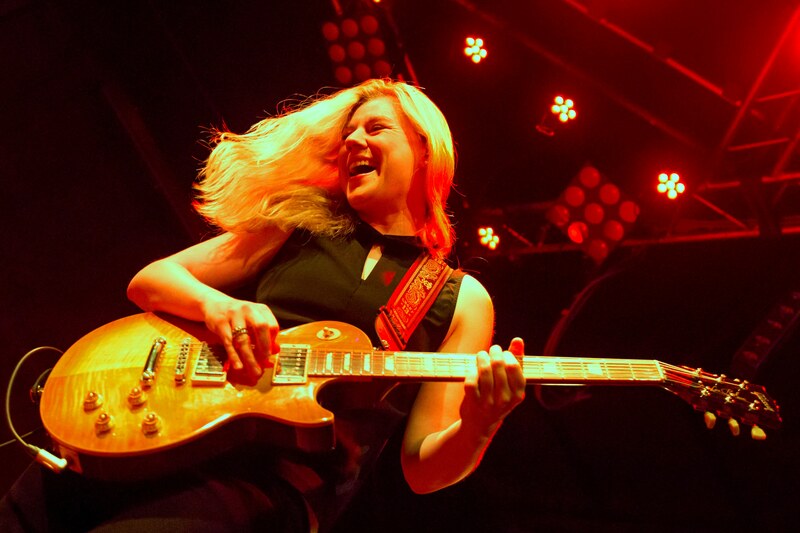 When White Sugar dropped the following year, taking in gems like Bones and Kiss the Ground Goodbye, it turned out the press had a sweet tooth, with Classic Rock crowning it Blues Album of the Month and Guitarist noting “she plays with more attitude and flair than most – massive potential here”. Since then, it’s gone stratospheric, with Joanne breaking into the notoriously hard-to-crack US market, beating the stereotypes of her age and gender, and being watched by 17 million viewers as she played an angel-winged solo during Annie Lennox’s set at the 2012 Diamond Jubilee Concert. That same summer gave us Almost Always Never; a bar-raising third album that found Joanne dodging expectations, writing the songs her muse dictated, and diving in at the deep end with just her talent to keep her afloat. In May 2014, Joanne reunited with her White Sugar album producer Jim Gaines, and recorded her new studio album in Memphis. The new studio album entitled The Dirty Truth is a return to Joanne’s original sound that mixes rock riffs with blues influences. The album was released in the UK on September 22nd 2014 on Joanne’s own independent boutique label Axehouse Records. Joanne supported the album by an extensive UK tour with special guest Bernie Marsden that received rapturous reviews. Currently on tour cross the UK with legendary blues guitarist Robin Trower.